Not only is divorce emotionally painful, the process can be financially painful as well. But there are ways to minimize the cost of your divorce. The easiest way is to reach an agreement with your spouse on issues such as child custody and access, child support, spousal support and the division of marital property. If you can do this and have what is called an uncontested divorce, we draft the uncontested divorce and file the necessary court documents to obtain the uncontested divorce, for a flat fee of $499 plus HST and filing fees. It is not usually a good idea to decide how to resolve issues with your spouse without consulting with a lawyer first. Sometimes, a big factor is a couple fighting over what are relatively minor points. For example, sometimes clients fight about belongings that are of no financial or sentimental value. These can unnecessarily increase the cost of a Divorce. The family law system in Ontario is overburdened because there are not enough judges. So, it becomes filled with delays, many of which are outside anyone’s control. But, when a client or lawyers for the other side become adversarial, seek to punish one another, take unreasonable positions, delay unnecessarily, or fail to comply with the rules of the court, this can increase the costs of a Divorce. Another way to reduce your fees is through the use of unbundled legal services. Whether you are in court or not, you may decide that you only need help with a specific aspect of your case, such as the preparation of a financial statement or a parenting agreement. Unbundling of legal services means you will only pay the lawyer to do a specific part of your case, rather than handling the whole thing from start to finish. There are other ways we help you decrease the cost of divorce. Alternatives to court or avoiding a prolonged fight over issues such as child custody, child support, spousal support, or division of property can help. Some alternatives to Court, are Mediation, Arbitration, and Collaborative Family Law. In mediation, the couple agree to appoint a neutral third party to help them reach a settlement. The mediator does not make the decision for the spouses, but rather helps them find a way to agree on things such as support payments, property division, and child custody. In an arbitration proceeding, both spouses agree on a neutral third-party to oversee, guide and lead the negotiation between the spouses. But, unlike in mediation, the arbitrator can make decisions that are binding on the couple. Collaborative family law involves the divorcing couple, their lawyers, and any other professionals (such as a child psychologist or financial advisor) with the stated purpose of working together to achieve an agreement and stay out of the court system. A facilitated discussion strives to resolve any open issues on a collaborative basis, with everyone working together. We are mindful of what family law services cost clients and have in place a number of ways to help you minimize your legal fees. We bill by the hour but in six (6) minute segments, so you only pay for the time that you are with us. Some family law lawyers charge for fifteen (15) minutes, thirty (30) minutes, or an entire hour even if a meeting or phone call takes just five (5) minutes. 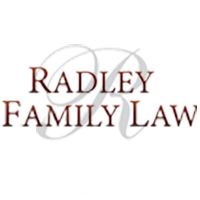 Because of our experience as family law lawyers, we work with you to minimize areas of conflict. For example, we can help you with any of the alternatives to court because, frankly, we want to help avoid the costs and stress of going to court, if we can. Not only is it expensive and draws out the divorce process for a long time but it means that a Judge, not you or your spouse, gets to make decisions about your family. So, we work with you, your spouse and the lawyer representing your spouse to settle differences as amicably as possible. At the same time, we have lawyers at different hourly rates so we help you choose a lawyer who will be appropriate for your situation. Our Law Clerks do many tasks that involve process, as opposed to understanding the nuances of the law. Law Clerks’ hourly rates are lower than lawyers’, so this helps to reduce your legal fees. Regardless of the hourly rate and experience of a lawyer or clerk, we all share information and insights with each other to ensure that you get the best legal advice and service. Our goal is to help you put your past behind you, and move forward with your new life as quickly and easily as possible because family is important to you and me.